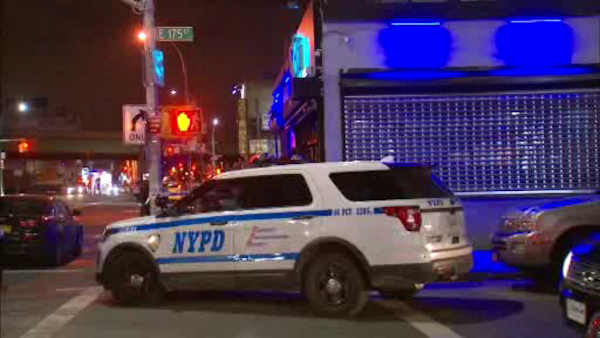 MOUNT HOPE, Bronx (WABC) -- Police are searching for the gunman who opened fire at a club in the Bronx Saturday morning, leaving two people wounded. 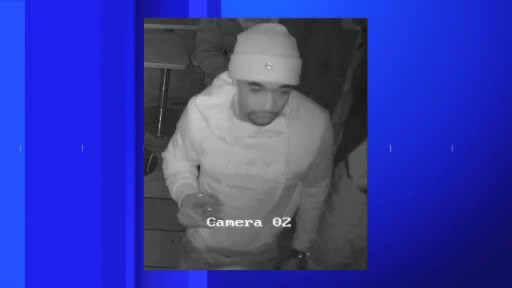 The gunman, wearing a hoodie with the word "vintage," fired shots both inside and outside the Blu Lounge on Webster Avenue in the Mount Hope section just after 3 a.m.
A 22-year-old woman was grazed in the left thigh outside the club. She sustained a non life threatening injury. A 21-year-old man who was later determined to have been shot inside of the club showed up at the hospital with a gunshot wound to the torso. The NYPD released a surveillance image of the suspect. The motive for the shooting is under investigation, but it does not appear the victims were the intended targets.